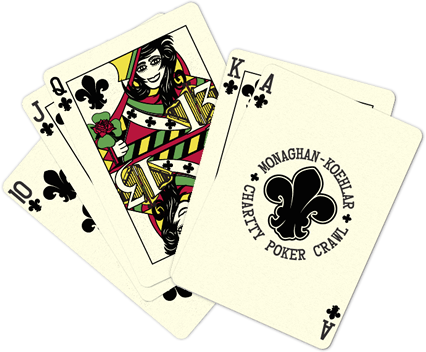 We are busy planning our 4th Annual Monaghan-Koehlar Poker Crawl benefitting The Roots of Music! This year's event will take place on Saturday, June 16, from 9:45am-5:30pm. The Roots of Music is a comprehensive music education program for Orleans Parish youth ages 9-14. In addition to music education, participants in the program receive academic tutoring, a hot meal, and transportation to and from the program 5 days per week. Currently there are 140 children participating in the program, with 600 more on the waiting list. 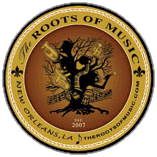 For more information about the program, please visit their website at www.therootsofmusic.com. The Roots' band, "The Crusaders" marches with several Mardi Gras and other New Orleans parades throughout the year. We are all extremely excited that The Crusaders have been invited to march in the Tournament of Roses Parade on January 1, 2013! This is a wonderful opportunity for these children. For many it will be their first flight that will hold good memories. Several of the children were air-evacuated after Katrina – memories, not so good. It is my belief that travel is the greatest education; and, I really am thrilled to play a part in the education of New Orleans' future!!! 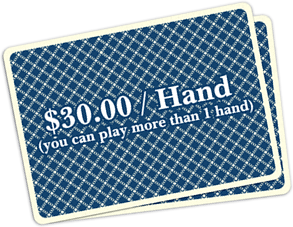 All proceeds from this year's Poker-Crawl will go to the Rose Bowl Parade Fund. Last year we were able to raise $10,000! With that success in mind, we're expanding our fundraising efforts. This year we will be selling sponsorships at different levels in hopes that you are just as anxious as we are to make sure The Crusaders make the trip to Pasadena. We will be selling a special "Crusaders" drink for the month of June in all three of our establishments (13, Molly's at the Market, and Erin Rose). All proceeds will be added to our donation to The Roots of Music. On the day of the event we will also hold a live auction. I hope you're asking, "How can I get involved?" My answer is, "Send money!" Please keep in mind it's for the kids; and, it's for our future! Checks should be made payable to The Roots of Music, and mailed c/o Molly's at the Market, 1107 Decatur Street, New Orleans, LA 70116. "What the French Quarter needs is asses on chairs"
Let’s make sure there’s plenty of them on Saturday, June 16th, 2012! Register Here, or if you can't make it Donate!